The Dodgers dropped game one of the Freeway series last night which puts them at 1-3 this season against the Orange County Angels of Anaheim. As I always try to do, I definitely, 100% found some positives from last nights game that I want to share with you before previewing tonight’s game, along with some negatives as well. Positives: The offense awoke from the Oakland induced Coma that we seemed to be in as of late. They finally started showing some signs of life, and a little pop in the bats. In just two innings last night, we had six hits and scored five runs. In the past three games prior, we only managed to get nine hits, and two runs…combined. So it was definitely nice to see that energy from the dugout and the overall excitement that just wasn’t around in Oakland. Granted, I mentioned this on facebook as well, but you have to take into large consideration the stadium as well. 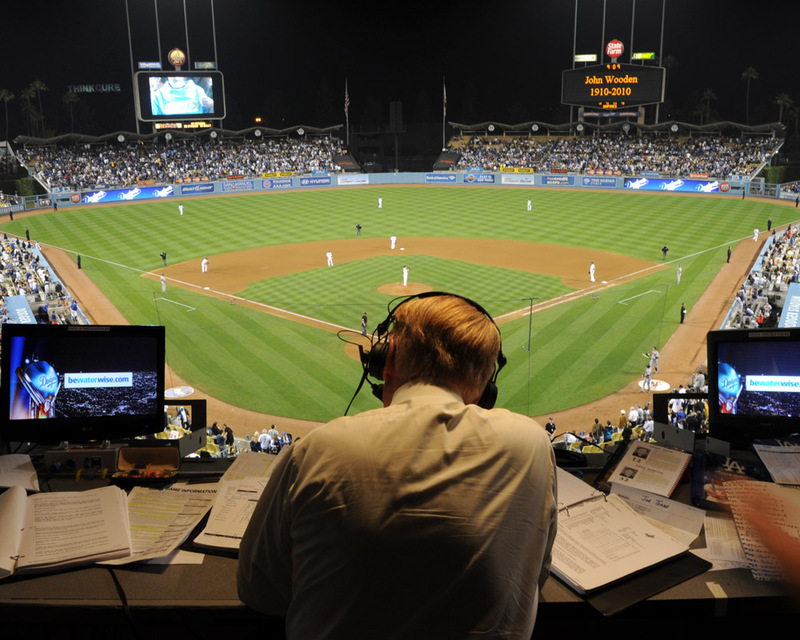 The Dodgers have never played well there, and not only is it a pitcher’s ballpark with extremely long fences, but the stadium is NEVER even half way filled, and the energy that the fans bring for the Oakland Athletic’s just isn’t there. It’s very hard to get excited for a game like that, and it’s hard to perform when you’re not amped. It’s much easier to play in a place like Dodger or Angel Stadium in Anaheim. But anyways, back to last night — After the second inning, we were shut down runs wise, but the Dodgers were still making great at-bats. They ended up with 12 hits, including a 3 run homerun by Bobby Abreu, which was the first Dodgers homerun since Juan Rivera’s on June 12th. Yeah…10 days earlier. A.J. Ellis also had a great at bat, where he battled off Dan Haren’s best stuff and worked an 11 pitch, full count at-bat that ended up with Ellis getting a single, and you could phyiscally see that it affected Haren. Mattingly also commented that he was overall pleased with the team’s performance last night, especially after a three game sweep in Oakland. Negatives: Chad. Billingsley. There’s not much more to say about Chad that hasn’t been said already. To put it insanely mild, he is incredibly inconsistent and mediocre. AKA -not a number two starting pitcher. Last night, Bills had zero command and just flat out, didn’t execute at all. To me, he looked like he was throwing rather than pitching. He was over throwing, and his confidence was way down. The stat that concerned me the most though, was how he dealt with the bottom third of the Angels lineup. It’s hard enough to deal with players like Trout, Trumbo, Pujols, etc. But you can not make it harder on yourself by not focusing with the rest of the team. The Angels are solid from top to bottom, and last night the bottom third of their lineup scored 5 out of their total 8 runs. That’s practically unheard of. We’ll see which Billingsley comes to the mound his next appearance, but until then, let’s enjoy one of our most consistent starters in Chris Capuano, who has been great for the team all year. He is taking the mound against Ervin Santana who has had a very rough season in 2012. Coming off from a 1 hit gem against the Diamondbacks, Santana is only 4-7 with a 5.16 ERA. To be honest with you, he’s been as predictable and consistent this year as Chad Billingsley has been for us. Yeah, I know. That’s mean, but also still true. Looking at the matchup, on paper, it looks as if the Dodgers have a great shot of taking this one. Santana is coming off a great game, like I said, but for the most part has a tendency to get shelled, and Capuano is solid. However, in this weird quote-unquote “rivalry” anything could happen. Funny side note about that “rivalry.” As we all know…Dodgers fans hate, no that’s not quite it — loathe, no that’s not it either — well I can’t really find a word to describe the way we feel about the Giants, but we all know that is our number one and only true rivalry. That rivalry has been going since the Brooklyn and New York days, WELL before the Angels were even a thought of becoming a team. So to Angels fans, they think that this rivalry is way more serious than any Dodgers fans think it is. Which is funny, cause even Mike Scioscia, the Angel’s manager (also ex-Dodger catcher) doesn’t consider it a rivalry. I just thought that was pretty funny, and just another point in my forever-ongoing argument that the Dodgers and Angels “rivalry” is nonexistent and dumb. The Giants will always have that special place in our hearts as the most hated team in the universe, and the Angels will never even come close. Sorry ’bout it, Angels fans. The game is scheduled to start at 4:15 pm PT. Also, be sure to follow Dodgers Insider on Facebook and Twitter for live, in-game updates as well!! Scrappy. It’s the best possible way for me to describe this Dodgers team. My reaction to that? I love it! Here’s a quick recap of last night’s 2-1 victory over the Phillies. I’m probably going to get a lot of hate for this, because about 95% percent of all Dodgers fans that I know or have talked to are sick of Chad Billingsley. But what the heck…I’m going to say it anyways. He pitched a very good game last night, and is the reason we won. I’ll get to Herrera and the quote-unquote “hero of the night” in a little bit, but for right now I want to just take a moment and give Bills the credit that he hasn’t been getting from anywhere else. After a first inning run, Bills shut down the Phillies offense scattering five hits over the following six innings. He would be pulled after seven innings, finishing with three strikeouts, and one walk. It was definitely the start that he had been looking for. It was his first win in close to two months and you could tell it was on his mind. It’s never easy being a big league pitcher under a this HUGE microscope people call a fan base (not like I would know). And its also never easy when that microscope is smack dab in the middle of one of the biggest cities in the United States. For everything that he’s been through this year, with all the criticism he’s endured, I have to give him some credit. Now I’m not saying that he’s pitched well. I’m not on that bandwagon. In fact, to say that he’s even been just inconsistent is putting it incredibly mild. What I am saying though, is to give credit where credits due. Let him enjoy this. 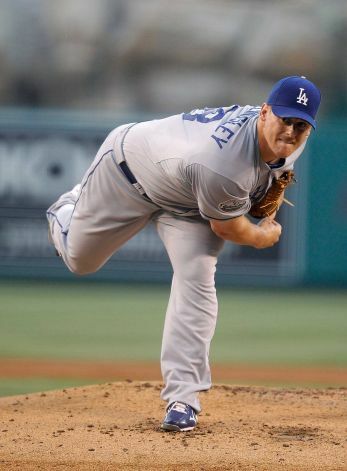 He pitched his heart out, and if he hadn’t, the Dodgers would not have won this ballgame. Now its time to talk about what everyone will agree on…that stud we have at third base, well, and second base, and…center… Ya know what? This guy can do everything. Honestly, what can’t this guy do? Last night, he was the hero for the second straight night by knocking a double (which was so close to being a homerun) off the wall which scored Bobby Abreu (who had just pinch hit for Billingsley) and Dee Gordon. It put the Dodgers ahead 2-1 and that’s where the score would stay. Lindblom came in for the eighth inning and did what he’s been doing all year. And that’s be incredibly consistent. He had another 1-2-3 inning in the eighth and got Juan Pierre, Hunter Pence, and Carlos Ruiz to all fly out to Tony Gwynn Jr to record his 12th hold of the season. Then Kenley Jansen came in to close things out, and that’s exactly what he did. After Ty Wiggington got a one out single, Jansen zoned in and struck out the next two batters to end the game. That was his eighth save of the year. I’m interested to see what Donnie is going to do when Juan Uribe gets back. 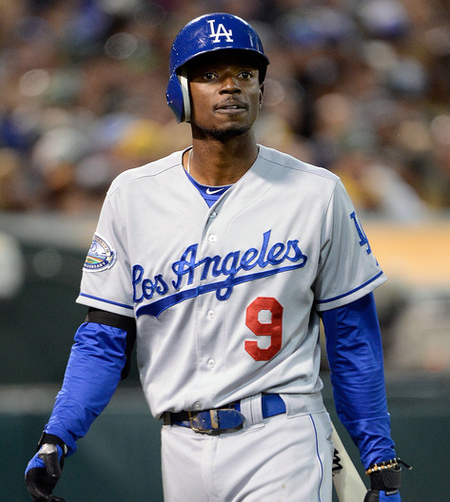 He has said on multiple occasions that Uribe will get his spot back. But with the way Elian’s been playing, you have to find a way to keep him in your lineup. I’ve seen more offensive production from Herrera in the past couple weeks since being brought up than I had from Uribe all year before his injury. 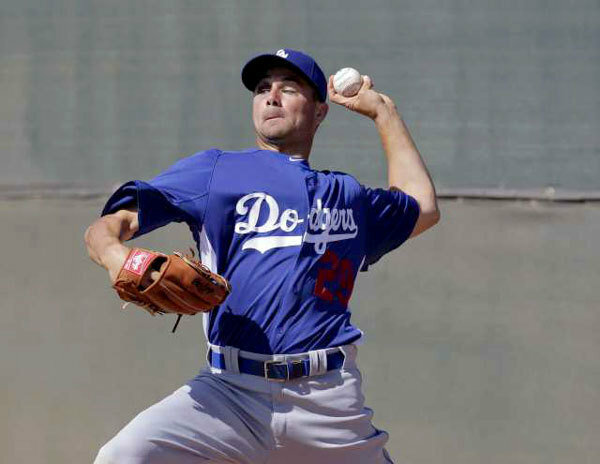 Maybe Elian will get a chance to get his spot the old-fashioned way and just keep outperforming Uribe and earn it straight up. Or…what most people don’t consider a possibility, what if Uribe took this as motivation, and got better because of it? Maybe got some of his power back after his wrist heals? Unlikely, I know, but possible? Anything is. I bet no one predicted Herrera would make this much of an impact right away either…I know I didn’t. All I know is, I’m pumped that one of our biggest issues right now is finding room for young studs. That’s never a bad issue to have. Dodgers – Astros Preview: Time to Panic? Absolutely Not. I’ve been sitting and reading comments from all sorts of Dodgers fan forums, and comment bars and I’ve basically learned one thing from the fans. People are already in panic mode. Now I’m not saying that everyone is in the wrong, the Dodgers very rarely lose two games in a row, and are once again on the brink of losing three games in a row for the first time this season. But here’s why I wouldn’t panic. 1. We only have one out of our originally five opening day starters off the DL. 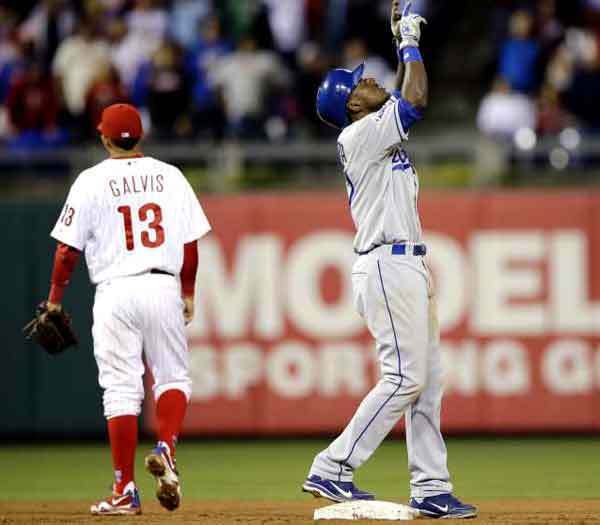 Hairston just came off of the disabled list last night, and he already had the sole RBI of the night. 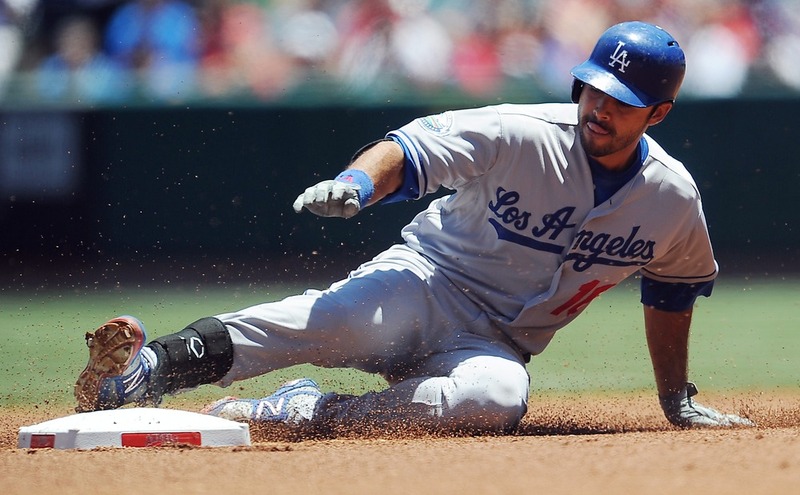 Kemp, Uribe, Rivera and Ellis are all still on the DL, and it is a huge factor. Kemp and Ellis alone were some of the biggest run producers we had on our lineup the opening month, besides Ethier. Kemp and Rivera are both rehabbing very well. Sue Falsone said that they were both running extremely well before Friday night’s game. They will be doing a two-game stint with AAA Albuquerque tomorrow (Sunday, the 27th) and the next day. Rivera’s stint may be extended a day or two if needed. That’s a huge bonus for the team to have that power back in the lineup. That’s 3/5 players back. Uribe’s wrist is doing MUCH better than anticipated. When the MRI came back negative for serious damage, Uribe replied by saying, “I’m really happy about it. I feel like it will go quick now.” The return of Uribe won’t be quite as anticipated as the others will, and not even due to performance issues, but mainly because the Dodgers have Hairston back at third who has been nothing but incredible there all year, making remarkable plays and taking good at-bats. Thats 4/5. Mark Ellis is the one that hurts. Ellis had been one of the many bright spots in our lineup in the early going of 2012. He was great at getting on base, and even better at sacrificing himself to get a runner over. Unfortunately, Ellis had a very serious couple of surgeries to reduce swelling in his leg which originally was suppose to be a six week recovery, after an incident with Tyler Greene at second base. Ellis has since learned that he also has some strained ligaments in his knee, and now sources say that his return will be at least two months from now. Long story short…we should be getting four out of our five original DL’ers back by May 29th, and Justin Sellers’ DL stint is only 15 days. We will soon be close to opening day form. 2. It is still very early, AND we haven’t lost three games in a row the entire season. The fact we haven’t lost three games in a row is highly impressive. Especially in the past week. 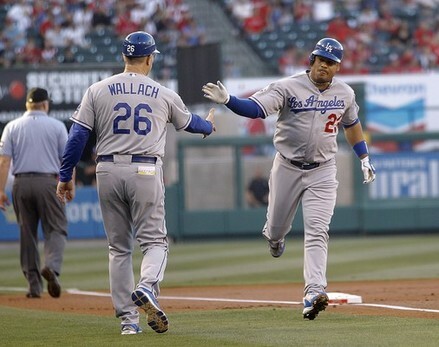 Our young stars are finding a way to get the job done, without the help of major power in Matt Kemp. I keep hearing fans say “the no-names have stopped hitting!” “Our lead in the NL West is falling!” Even though those thoughts, I’m sure, have crossed all of our minds, I wouldn’t take them so seriously. These quote-unquote no-names we’re referring to are players that weren’t even in the major leagues a week ago. They came out of the gates sprinting, but just like any normal minor league player making the transition, it is going to take time. Them dropping off the incredible numbers they all started with isn’t the most absurd thing to happen. Plus, once our players come off the DL one at a time, they will go back to get more playing time in the minors, and help out our team in the future, when they are needed. 3. The Dodgers are still putting themselves in positions to win. With Sunday’s loss aside, last night the Dodgers had runners on base a lot. They also had the eighth inning, which they loaded the bases with one out. The reason this young, injury-stricken team had been doing so well was because they were the best in the league at capitalizing on situations. Every team will go through games in which they don’t make good on certain opportunities, and that has just been the Dodgers in the past couple nights. Nothing to fret over. Happens to everyone. With all that being said, I know that dreaded “third loss in a row” is on everyone’s mind, but the way I’m looking at it is this: it is going to happen eventually. To think that a team will go the entire season without losing three games in a row is just ridiculous. So personally, I’d rather have it when half of our starters are on the DL and knowing that are replacements have been doing an incredible job up until this point. 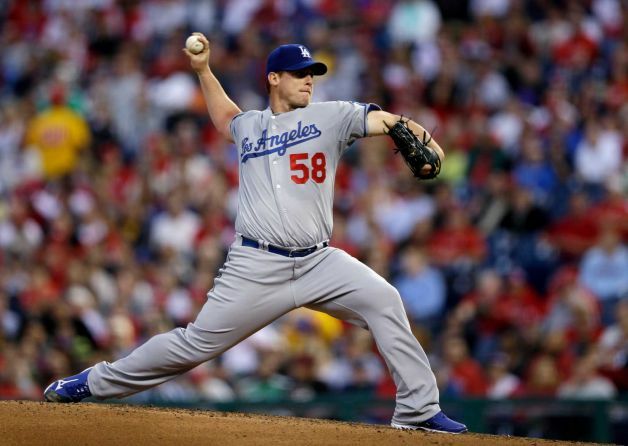 Chad Billingsley faces Bud Norris tonight. Bills, to say the least, has been struggling in this month of May. He has only gone six innings in just two starts this entire year. His ERA for May has gone from 2.64 to 5.85. After allowing just seven walks in April, he has already allowed thirteen in May. It’s hard to know sometimes which Billingsley will show up, but I feel like if he will start to turn it around any night, itcouldbe tonight. The Astros are hitting only .209 in 67 career at-bats against Bills. Bud Norris is doing quite the opposite, by allowing only one earned run in 26 innings this month. The Astros are 8-1 when Norris starts, averaging 5.5 runs per game. Scheduled start time is 7:10 PT. Be sure to follow Dodgers insider on Facebook and Twitter as well for live in-game updates!